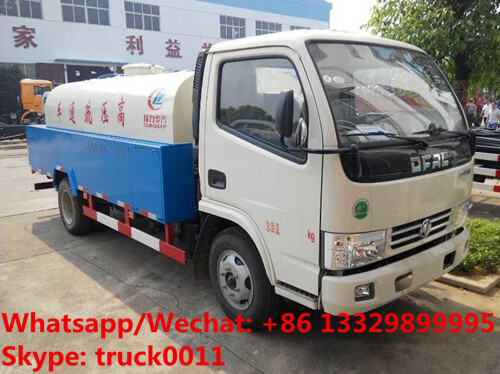 sewer cleaning high pressure water truck is also called high pressure cleaning truck or underground pipe cleaning truck , its working principle is through power takeoff to promote high pressure pump to produce high pressure water-jet, through high pressure nozzle secondary pressure booster and turning to use reacting force of high pressure water-jet to propel, stir, break up and flush all kinds of blockages in pipeline so as to dredge pipes. It is mainly used to cleaning and dredging of sewage pipe network of municipal and residential property, also used in cleaning road, sidewalk, guardrail, silt, stubborn stains, health corner and other kinds of public facilities, also used for landscaping, emergency fire, etc. 1. 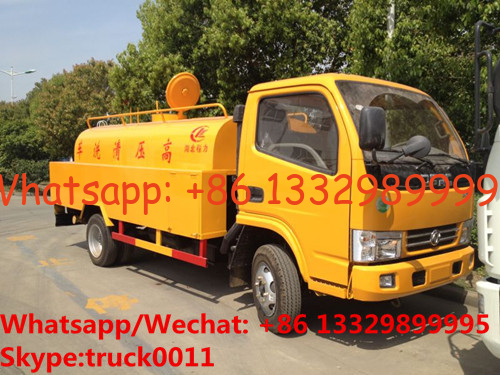 It has large flow, high pressure, cleaning conveniently, saving water, multifunctional, etc advantages. 2. Use original Italy produced high-pressure pump: pump body service life is long, the pump's total weight is light, plunger is more durable, sealing bear high pressure. 3. Check valve is made of 316 stainless steel to prevent corrosion and improve the flow and power of high pressure pump, and is easier to repair and change. 4. Factory direct sale, low price and high quality. Standard configuration Italy imported High pressure Pump( 16Mpa, 130L/Min), full power type power takeoff,60 meter length Φ19mm pipe, 10 high pressure sprayers. Option sprinkling device, garden sprinkle apparatus.